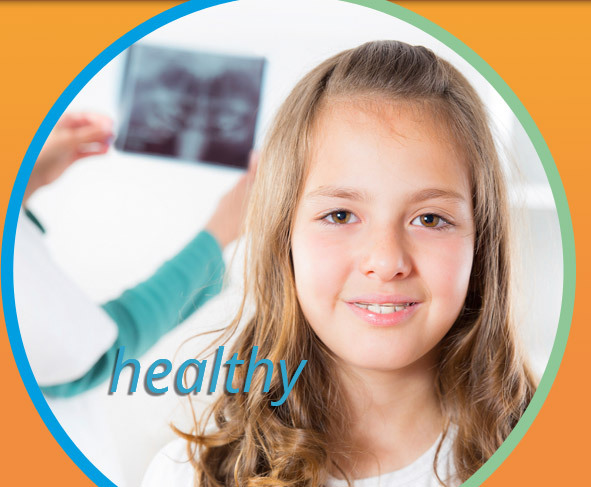 The Australian Society of Orthodontics recommends a first assessment around the age of 8. Early evaluation of children provides both timely detection of problems and greater opportunity for more effective treatment by intervening at the most appropriate time. By the age of 8, the first permanent molars usually have erupted, establishing the back bite. Peter is then able to evaluate the front-to-back and side-to-side tooth and jaw relationships and diagnose whether there is an imbalance. He will also evaluate the facial growth pattern. Treatment may often not begin at this early age, but your child’s growth and development can be recorded and monitored until the ideal time for the commencement of the active care. The timing of orthodontic treatment is extremely important and greatly affects the efficiency of treatment as well as the final result. Unfortunately we see far too many children too late in their development to be able to give them our optimal care. Simplify later corrective orthodontics making it quicker and more stable. Help reduce speech issues due to poor tooth position. Reduce the potential for later damage to the jaw joints. This early phase treatment is most often commenced for children between the ages of 8 and 10 years. Children of this age have a good growth potential, are usually highly compliant and cope extremely well with treatment. 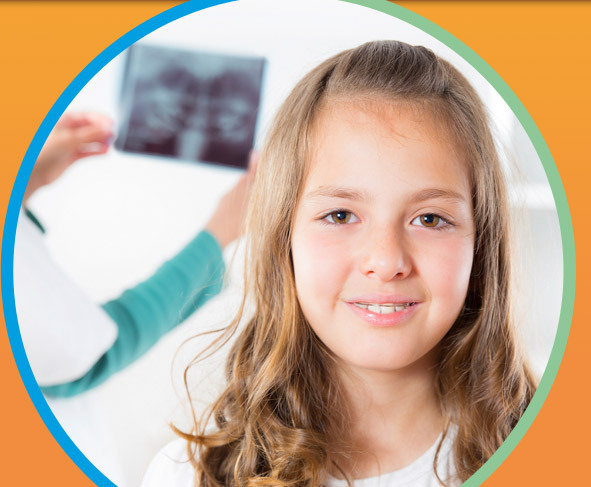 Early treatment usually lasts 6 to 12 months, after which we will normally monitor your child’s growth and development until the eruption of the adult teeth. At this time consideration is given to the need for any further care. Most children who have an early phase of orthodontic treatment will require a more comprehensive phase of treatment in their early teen years to create a more stable, functional and aesthetic result. This more complete phase of treatment usually involves wearing braces. An ideal time for most orthodontic care. 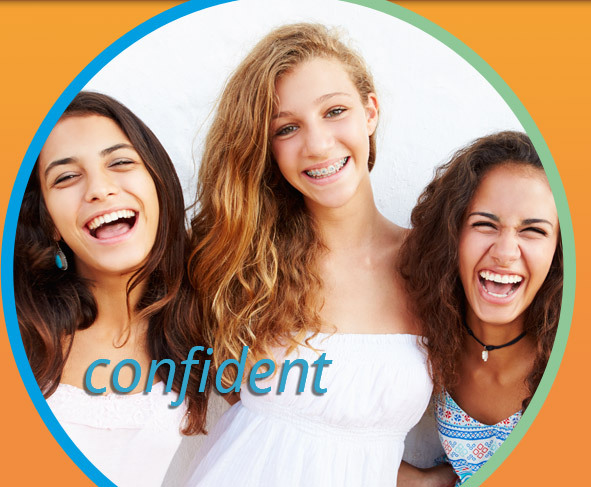 Adolescence is the ideal time to commence comprehensive orthodontic treatment as this is most often when all the adult teeth are present and the jaws are still growing. Children at this time are growing rapidly, and we can usually take advantage of these growth spurts to help shape the bite and teeth correctly. This usually means quicker, more efficient and stable treatment results. Of course, the ideal time to start orthodontic treatment is determined by the type of malocclusion and your child's individual growth pattern. Most treatment at this time involves the wearing of fixed braces for about eighteen months. 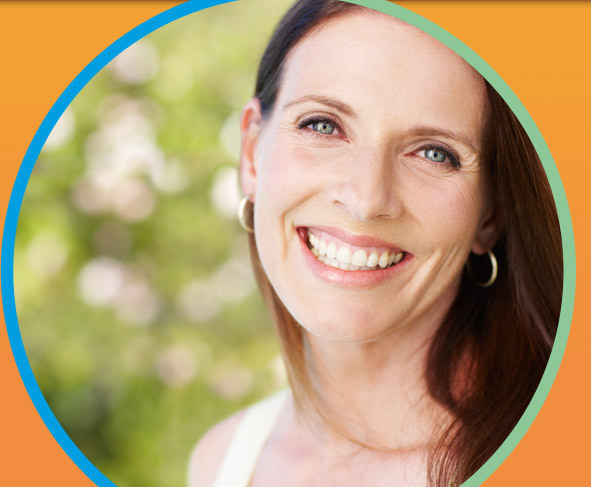 Sometimes expanders, headgears, aligners and other appliances form part of the treatment plan. The adolescent years can be challenging enough without feeling self-conscious about crooked teeth. No longer do teenagers, or indeed people of any age, feel embarrassed or uncomfortable about wearing orthodontic appliances as in recent years there has been a significant increase in their use. And the resulting beautiful smile can certainly help boost confidence and self-esteem. You are never too old to improve your smile. 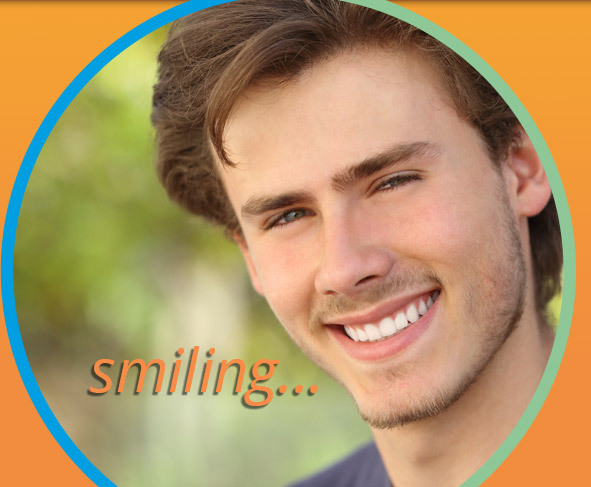 Most adults understand that improving the appearance of their smile can have a positive effect on their personal, social and professional lives. Although adults have finished their growth spurts, this does not preclude orthodontic treatment. Teeth move in a similar manner at any age as long as the teeth are healthy and have good bony support. As braces are fixed to your teeth, they work full-time to create your new, beautiful smile. 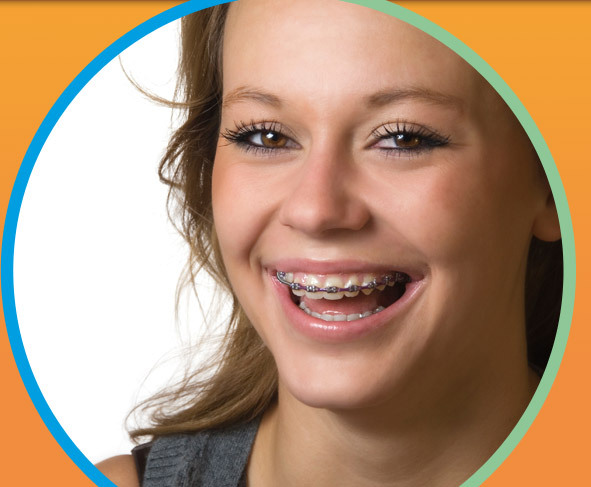 Braces generally have three components: brackets; arch wires; and molar bands. The molar bands are cemented to the back molars which provide the anchorage points. The brackets are attached to the remaining individual teeth and a series of high tech arch wires are threaded through the slots in the brackets. Both the brackets and wires are active in aligning your teeth. There is a considerable array of brackets on the market. The choice of bracket, and its placement, is significant as it is the bracket that acts like handles to guide the 3D direction of tooth movement. This determines the final positioning of your teeth. The brackets can be made of stainless steel or titanium, as well as tooth coloured ceramic crystals. The arch wires connect all the brackets together and will be distorted to follow the positioning of your teeth. These shape memory wires apply gentle steady pressure to align your teeth as they try to return to their original form. The shape of the arch wire will determine the shape of your smile and so its choice is important. In addition, teeth can be moved along the arch wire to close spaces and correct bites. At New England Orthodontics we use only the most advanced and efficient braces and wires available which results in fewer appointments and better still, quicker treatment times with more controlled and predictable alignment. The Invisalign system uses a series of clear, thin, plastic trays that are custom-made to apply pressure to your teeth to move them into improved alignment a fraction of a millimetre at a time. These sequential aligners are the virtually invisible way to straighten your teeth without braces. First an impression or scan of your teeth and bite record is taken and sent to Invisalign to allow 3D CAD-CAM computer imaging technology to map your dentition. Your specialist uses this to design your individual tooth movements from start to finish, the most important component of Invisalign treatment. From this plan, a series of custom-made aligners unique to your treatment is produced. Each aligner is worn for about two weeks and gradually moves your teeth, before being replaced by the next in the series until the final position is achieved. With Invisalign you will need to visit your orthodontist approximately every six weeks for adjustments, to check progress and to receive new sets of aligners to continue the straightening process. For some movements, small tooth coloured attachments will need to be placed on some teeth to aid retention and allow the aligners to grip your teeth. The total number of aligners needed is specific to you and is determined by the severity of your malocclusion and the goals of your treatment. It is not usually possible to determine the full number of aligners that will be needed until late in the treatment process. These aligners are removable during eating and are easier to clean than braces. They are, however, only suitable for patients who are significantly motivated and self-disciplined as they must be worn 22 hours every day, otherwise the treatment process will be greatly slowed or ineffective. The disadvantages are they often take longer than traditional braces, and some patients still need a short period of regular braces following the aligner treatment. While this type of treatment can be effective for aligning teeth, it is less effective for correcting bite problems. Rapid Maxillary or Palatal Expansion. The Rapid Maxillary Expansion appliance is used to orthopedically widen the upper dental arch when it is too narrow in relation to the lower jaw. The RME is constructed with a palatal expansion screw whose metal arms are soldered to a wire framework attached to the posterior teeth. The expander can also be glued directly to the teeth or supported on the bone. In younger patients the two halves of the upper jaw have not fused and new bone is laid down between the halves during expansion. The upper jaw then remains permanently wider. This appliance can be used on children as early as eight years of age and is typically removed after only six months. In older patients, where the two halves of the maxilla have fused, the expander is normally used in conjunction with a surgical procedure to remobilize the two halves. This is known as a Surgically Assisted Rapid Palatal Expander. Functional appliances are devices used to correct significant disharmony in the relationship between the upper and lower teeth. They work by influencing growth and development of a growing patient. How quickly the patient is growing. The Twin Block appliance, as the name implies, uses a removable upper and lower plate to bring the lower jaw and teeth forward and reduce the relative protrusion of the upper anterior teeth. It is effective in reducing the bite depth and bringing the teeth into a better front to back position though it has minimal long term effects on the length of the jaws. Eating with the Twin Block in place increases the functional forces and speeds up and improves the response to treatment. The Herbst appliance is a fixed equivalent to the Twin Block and works in a similar manner. Rods fitted from the upper molars to the lower teeth hold the lower jaw forward during function. The Forsus appliance is a functional appliance used in a patient already fitted with braces. It is composed of a spring coil and rod mounted on the side of the appliance and moves the lower arch forward upon closure of the jaws while moving the upper molars back. It runs from the upper first molar band down to the lower archwire. A Lingual Arch is an orthodontic device which connects the molars on each side of the lower dental arch. It is usually used as a space maintainer to prevent the molars drifting forward and closing the space where the permanent teeth will eventually erupt. It can also be used during the transition into the permanent dentition in cases of slight crowding, as the deciduous molars are replaced by smaller adult teeth. A lingual arch may also be utilised in adult treatment in conjunction with skeletal anchors. The Palatal Bar is a fixed appliance that is attached to the upper teeth to stabilise the molars and prevent rotation. It can also be used in adult orthodontics in conjunction with skeletal anchors to reduce tipping. The Nance appliance is used to prevent upper molars from rotating and moving forward after a headgear has been worn or after having the upper molars extracted while awaiting premolar eruption or retraction. The appliance is made of two bands fixed to the molars and joined by a connecting bar in the roof of the mouth. An acrylic button covers the wire where it touches the roof of the mouth directly behind the front teeth. Headgear is a device which can be attached to the molar bands on the upper back teeth. Headgear is used most often to restrict forward growth of a prominent upper jaw in a growing patient. It is worn until the lower jaw has grown forward sufficiently to catch up and the bite has been corrected, and a more harmonious facial profile has been obtained. There are various types of headgear with different directions of pull. The most common type is worn around the back of the neck to pull backwards on the upper teeth. If required, headgear can be worn on the back of the head to pull upwards and backwards. Reverse Pull Headgear is usually used in children that require the upper jaw and teeth moved forward. It is worn on the front of the face and is also known as a Facemask. It is often used in conjunction with a Rapid Maxillary Expander. Surgical orthodontics may be as simple as the surgical exposure of unerupted teeth to allow disimpaction or the use of Temporary Anchorage Devices (TADS). TADS are self-tapping micro-screws which are implanted into the inter-alveolar bone of the jaw and are used as skeletal anchors. This skeletal anchorage is used to pull the teeth towards the TAD via elastic or spring traction to achieve dental corrections that could not have been achieved with conventional orthodontics alone. When the tooth movement needs are greater, Skeletal Anchor Plates can be secured to the jaw bones. When the malalignment of the teeth is a result of an imbalance of the underlying bony structures and there is disharmony of the face, the orthodontic correction will need to be conducted in conjunction with orthognathic or facial re-proportion surgery. This form of treatment involves a close collaboration between the orthodontist and a highly skilled and trained maxillofacial surgeon. The surgery usually involves the repositioning of the facial bones in patients beyond the age of 16. With the aid of Cone Beam CT, facial volumetric imaging allows for precise analysis and treatment planning to achieve accurate, predictable outcomes. Normally braces need to be worn to best place the teeth before the surgical procedure is undertaken, as well as to stabilise the dentition following the surgery. Recently, however, there has been an increase in the use of a surgery first technique where the stabilisation of the facial bones is achieved with the help of Skeletal Anchor Plates. Recent advances in surgical orthodontics has allowed bone lengthening to be achieved by osteogenic distraction in patients as young as 12. For the lower jaw, a technique known as Inter Molar Distraction Osteogenesis (IMDO) is used to generate new bone by progressive stretching where the mandible has recently been surgically divided. Final alignment of the teeth with braces is delayed until bone remodelling has occurred. In the case of the underdeveloped upper jaw width, where treatment is undertaken after puberty when the two halves of the maxilla fuse, it may be necessary to surgically remobilise the halves before expanding with a Mid Palate Distractor. This procedure is known as Surgically Assisted Rapid Palatal Expansion. The functional and aesthetic benefits achieved by facial skeletal correction surgery can be cosmetically outstanding and have a profound, life changing effect for the patient. Peter has considerable experience and expertise in surgical orthodontics and is one of only a small number of orthodontists in Australia who is proficient in corrections utilizing distraction.